i love love love your sweater! Your satchel is lovely, and that jumper looks so cosy! So jelous of your going to NYC, I've never been outside of Europe! I'm having a giveaway on my blog, I'd love if you could check it out! so cozy! love the big polkadots! I've got you beat- when I studied in Spain for a semester, I didn't start packing until about midnight, and my flight left at like 8 the next morning. Not the smartest thing. I also packed waaaayyy too much. It's always better to pack less and shop more! lovely sweater, that color looks wonderful on you! Please follow back if you like mine. love the docs and circle scarf! love your sweater , so cute!! 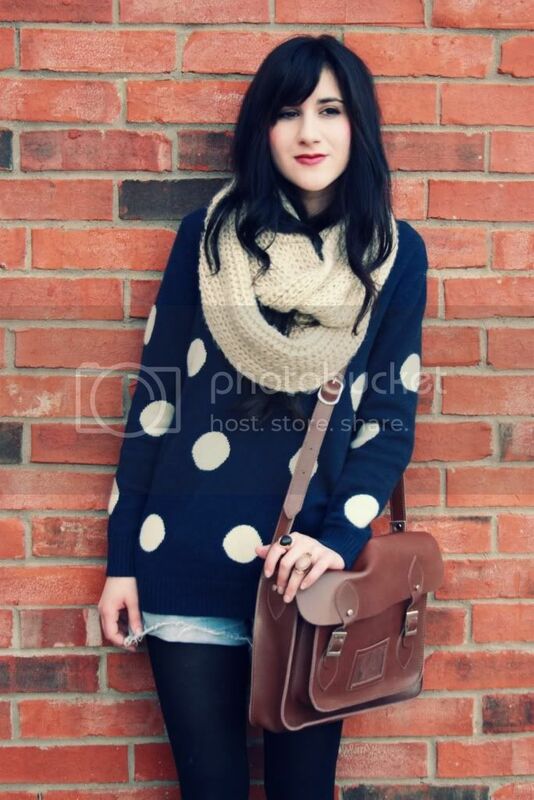 love the doc marten shoes and also love your spotty jumper!! 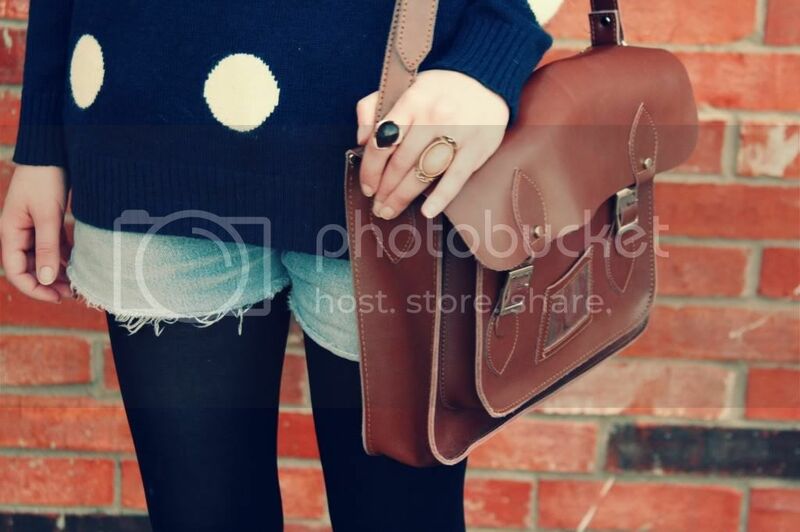 Love your sweater and satchel! Love the shoes - and how great that they're vegan! And that sweater looks so cozy and comfy. This is the perfect comfortable, cute outfit. Loving the sweater and scarf combo. Your oxfords are just gorgeous. Love your cozy sweater! this outfit looks very cozy. Polka dots are super trendy right now, and this is a perfect way to do it! So cute! WOW this is my style exactly! I wore a very similar outfit just last week! I really love your sweater. 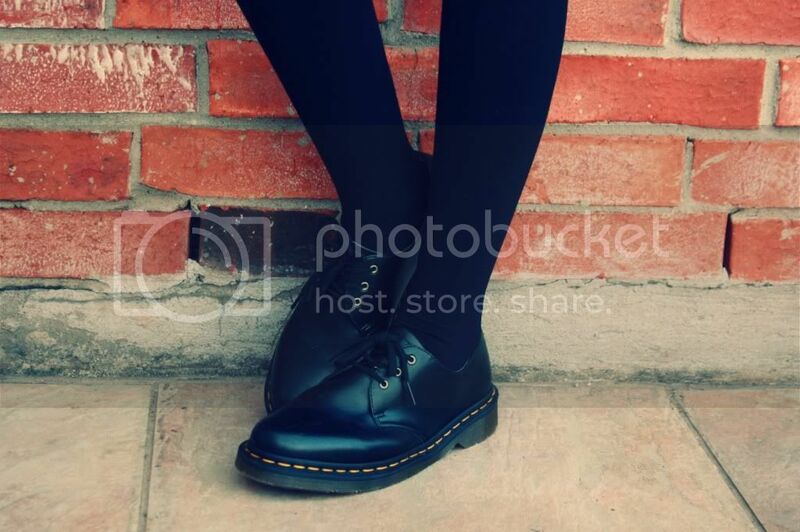 those doc martens sure do take me back! can't believe they make vegan ones now... too cool. i love your weekend casual look! Congratulations on getting mentioned on the teen vogue site!! It looks great! 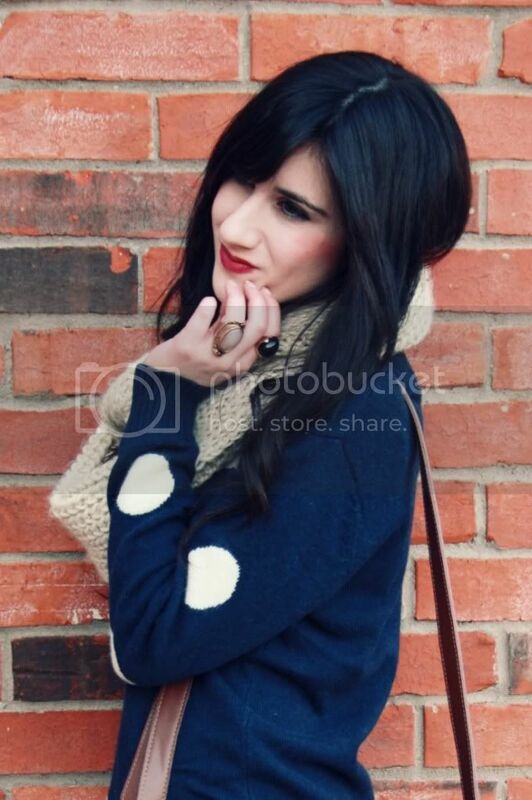 I love to thrift for oversized sweaters! That one is so cute! Also love the bag, I've got a similar one and it's the most convenient thing ever! moving to NYC is so exciting. I can't wait for all the awesome posts! Also, I adore that sweater. I fell in love with your sweater, so cute! That sweater is adorable, you look beautiful. Love the polkadots! Instant love. Your polka dot sweater is so adorable and I really like how those shoes look with it. Loving the dots and that fantastic bag. I love your sweater ! so lovely !!!! LOVE this sweater, too cute for words! oh i love your dotted sweater! dots always win! Very nice casual yet gorgeous look.The shorts look so hep and happening...the lipstick well chosen to define the youthful fun.